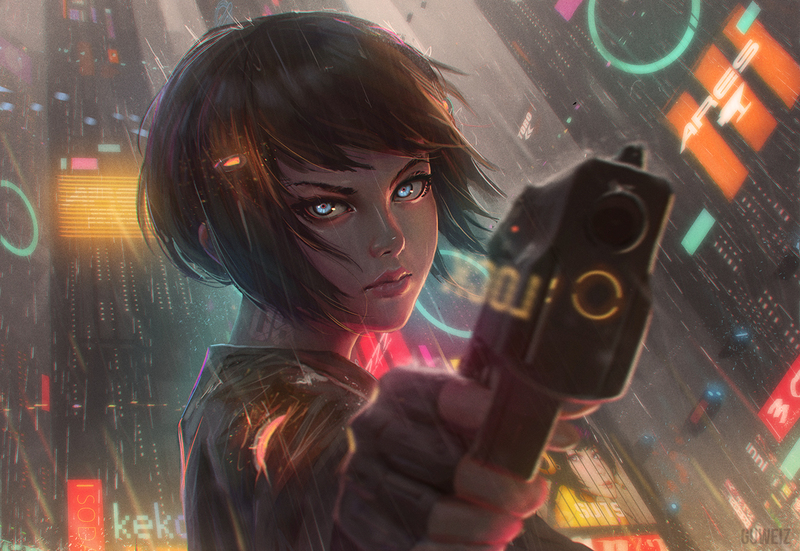 Really fun personal piece~ I guess it's a kind of a tribute to all my favorite sci-fi influences, especially Ghost in the Shell (I drew her a bit like the Major from Arise, but with more hair lol)! You can probably tell, but I really like the kind of scummy/slimy/dingy yet futuristic Blade Runner style city! I "parented" it because of the ad that displays in the background ^-^.